EzGreensboro News & Record. EzGreensboro.com: Ed Cone; "Greensboro-High Point ...second-most-vulnerable metro region to job loss due to AI and robotics. Winston-Salem is number six. 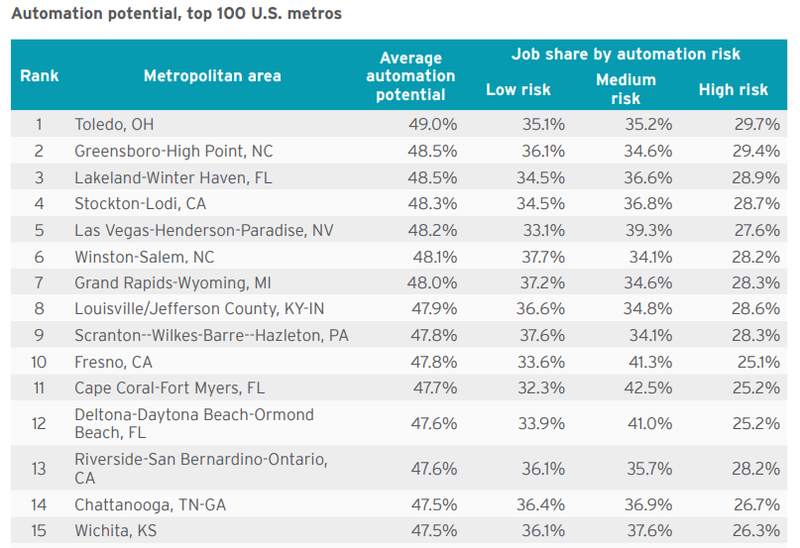 Ed Cone; "Greensboro-High Point ...second-most-vulnerable metro region to job loss due to AI and robotics. Winston-Salem is number six. Former News & Record columnist Edward Cone is Technology Practice Lead at Oxford Economics, a London-based consulting firm. Good paying manufacturing jobs are being taken by robots. Our local economy is at risk. Our leaders knew before all the money borrowed and blown on sideshows for the personal profits of their campaign donors. If North Carolina wants to invest $1 billion plus, why not design and build cars in the Piedmont Triad?